6pm usually has a good selection of deeply discounted Toobydoo clothing for kids, and today is no exception. 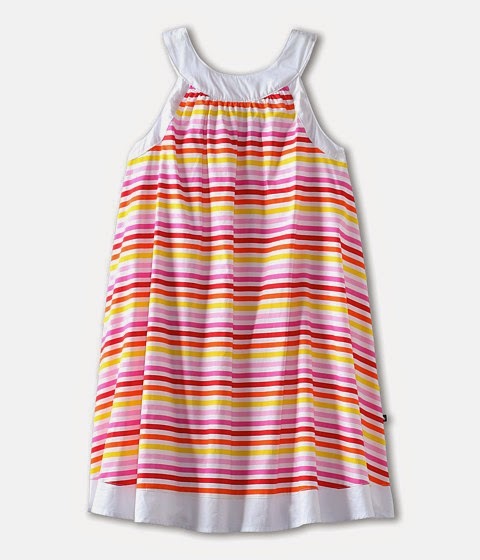 I especially like this piazza rainbow dress for 2-5 year olds which is 71% off of the original $58 at just $16.99! Toobydoo has been making this style for a few years and the version of this dress my daughter had when she was two was one of our all-time favorites. It is full and comfy and just the right shape for a warm day, dressy or not. All orders ship for free from 6pm, making this an outstanding deal. Find all of the Toobydoo deals here at 6pm. Note: The rainbow piazza dress is selling out really fast! It looks like only sizes 2T and 3T are left. I hope some of you were able to take advantage of the 4T and 5 sizes before they were gone!! Also, if your child fits into the 2T and you need shoes, read this post on an amazing Salt Water sandal deal in orange that would be perfect for this dress.